Buddhist monks participate in a consecration ceremony at Boudhanath Stupa in Kathmandu Tuesday. 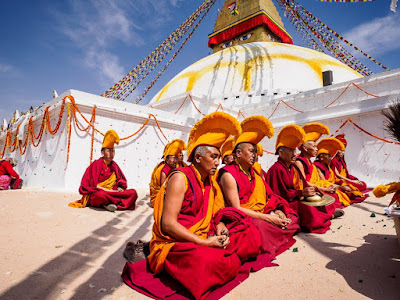 Boudhanath is also the first of Nepal's great historic sites to be reopened. 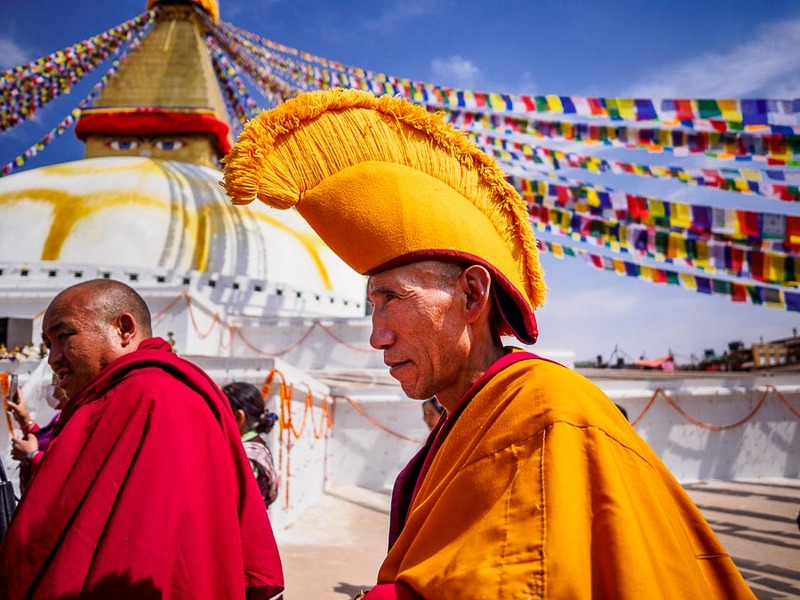 The stupa, which was closed and covered in scaffolding when we visited in 2015, reopened with great fanfare in November 2016, about 18 months after the earthquake. 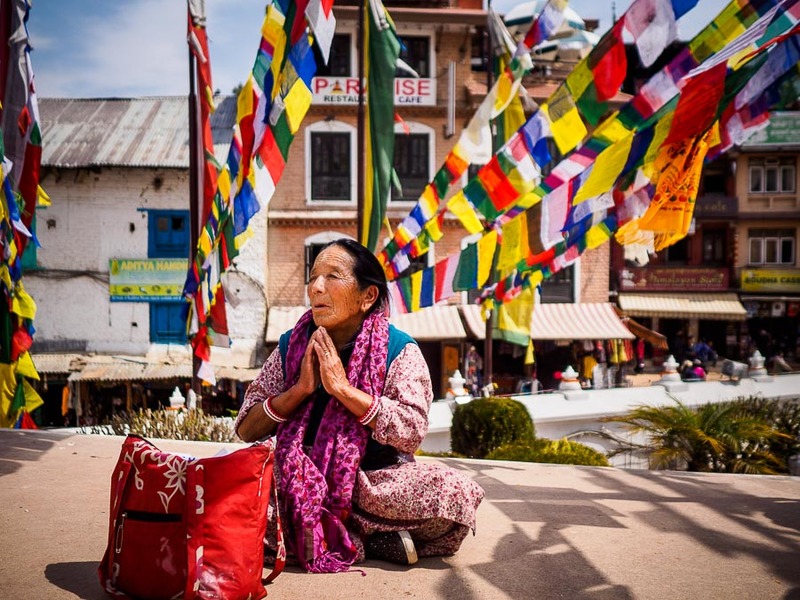 A woman, framed by prayer flags, prays on the stupa during the consecration ceremony. The stupa was not rebuilt by the government of Nepal. 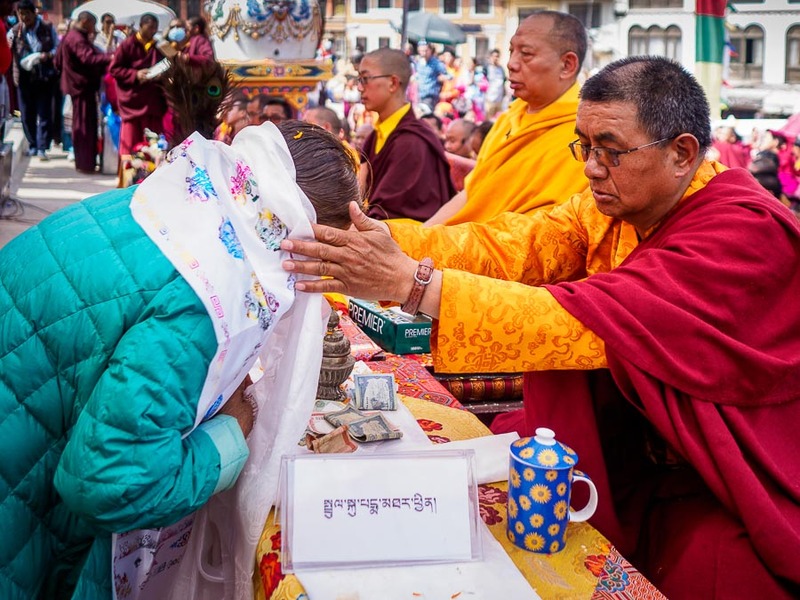 Rather international Buddhist organizations set up fund drives and contributed to the rebuilding effort. I was glad to see the work went so quickly because Boudhanath is one of the great religious buildings in the world. A monk presents a layperson with a prayer shawl. The re-consecration of the stupa was today. Hundreds of Nepali and Tibetan monks performed rituals and ceremonies on the first level of the stupa while lay people prayed with them or walked around the base of the stupa spinning prayers wheels. It was a wonderful ceremony to witness. Monks walk around the stupa. I didn't know the consecration ceremony was taking place. I just sort of stumbled into it. 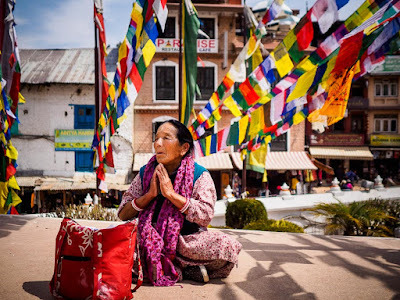 This was my last free day in Kathmandu and I went to Boudhanath because it is one of my favorite places in the city. My being there was just luck. There are more photos of the Boudhanath Consecration Ceremony in my archive or available from ZUMA Press.